It was finally here.The Ecclesia Diabolica Evropa tour.The most talked about tour for 2019 finally made it’s way to Birmingham. What a way to kick off the year with one of the strongest line up’s I’ve seen for quite some time. Kicking off at the 02 Institute tonight. If you feel gutted that you missed them don’t worry, the band will be returning to the UK this year,and are due to play Boombox Fair London,In August. It was interesting to see the amount of head gear Nergal had applied during the show, with no word’s being able to describe how amazing he looked. 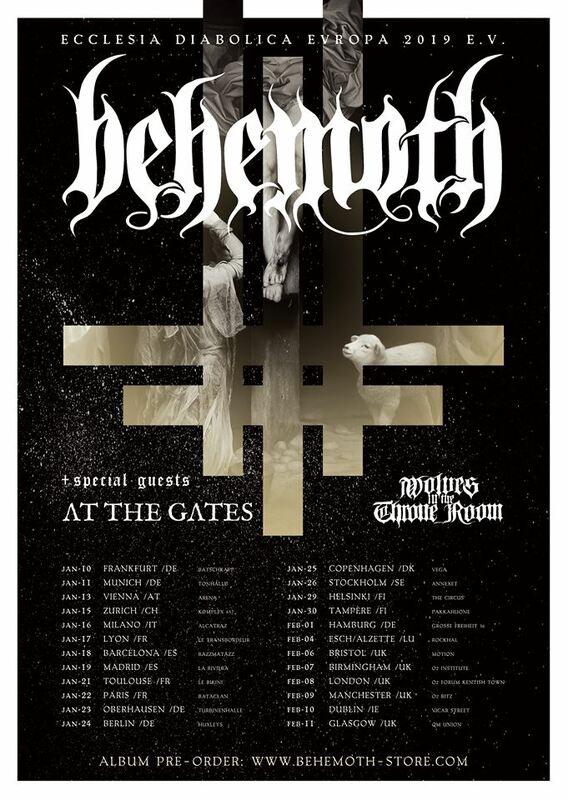 Behemoth are from Poland,currently signed to Nuclear Blast , If you missed the tour ,be sure to check out them out at Download Festival in June. The band are playing the Saturday and it’s not a band you want to be missing.